Third-party company Mastermind Creations has a good rep for production high-quality products. 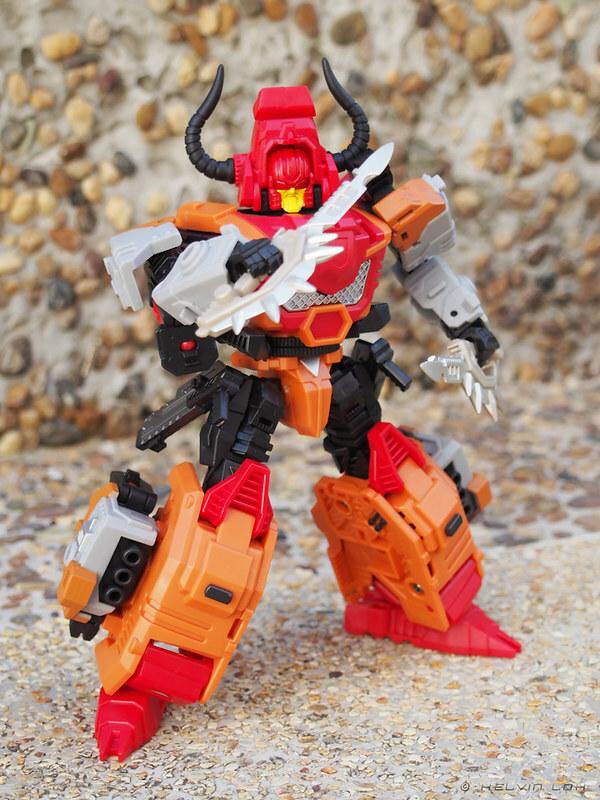 So I was excited when they announced they will produce their first combiner based on none other than Predaking! Of course, they cannot use the actual names because of copyright. So they have named their combiner Feral Rex. 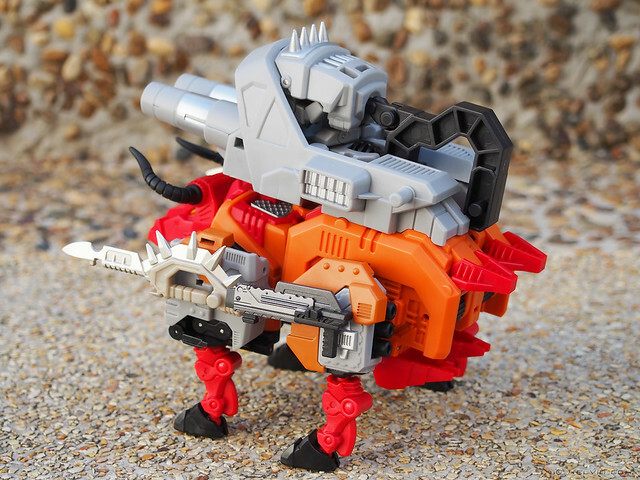 And after a long wait the first member - Bovis - is here! 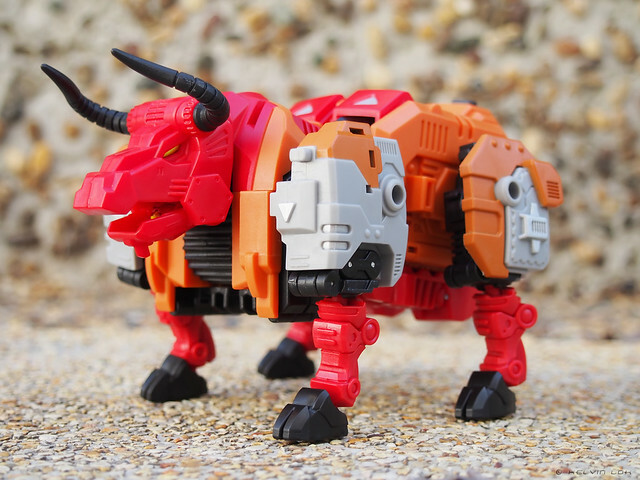 We all know Bovis as G1 Tantrum. Bovis comes with 2 guns and 2 trench knives. They can be attached as weapons in bull mode. Like G1 Tantrum, the twin motar launcher foot on the combiner can be mounted on his back. 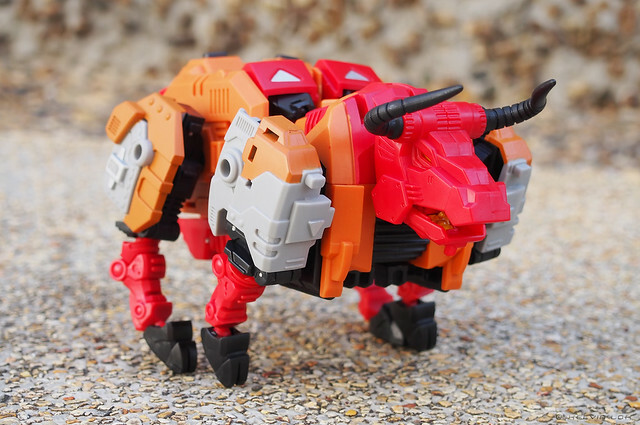 Size comparison of MMC Bovis in Feral Rex leg mode and G1 Predaking with CrazyDevy add-ons. Predaking with CrazyDevy is already very impressive, but the finished Feral Rex should be even more so! 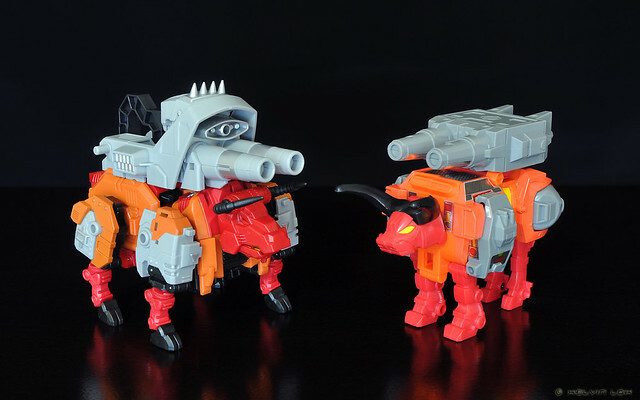 Size comparison of MMC Bovis in Feral Rex leg mode and TFC Hercules (G1 Devastator). TFC Hercules is the biggest gestalt I have now... until the other members of Feral Rex arrive! 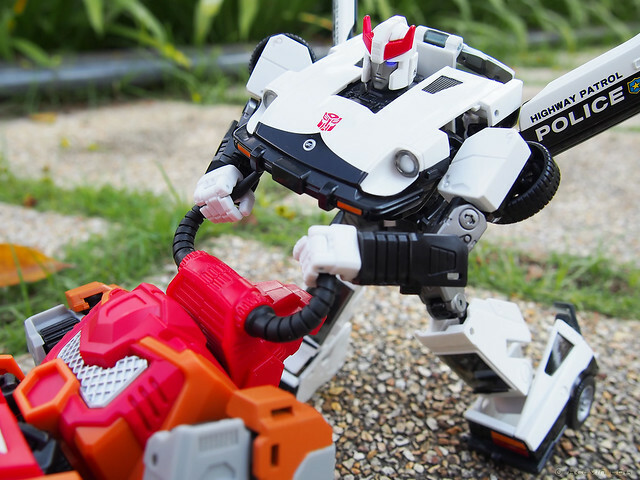 Bonus pic: Prowl taking the bull by the horns... literally!